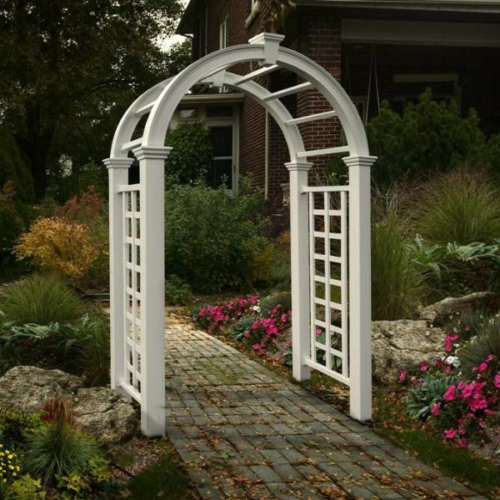 Vinyl garden arbors give you maintenance free, yet beautiful backyard accents with our guarantee that they will not to yellow or fade. 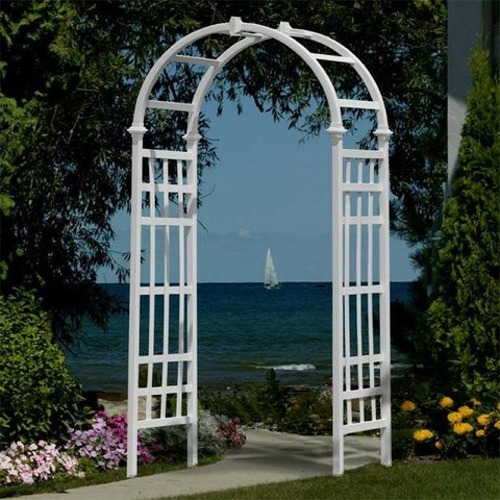 Constructed of high grade PVC vinyl that carries a 20 year warranty, the formula contains UV stabilizers protect the vinyl from harmful ultraviolet rays, so the arbors will not fade over time. 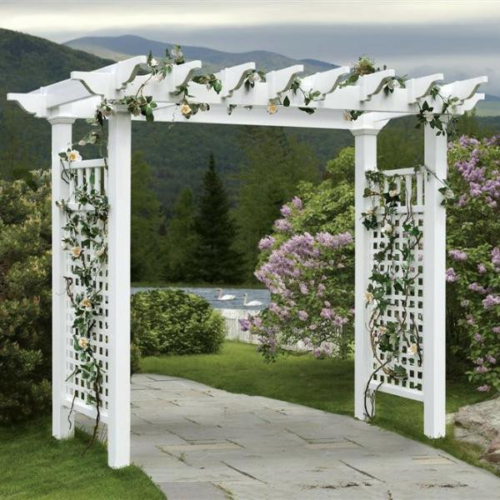 Use them in your garden-scape or in a wedding ceremony to create a romantic backdrop in any backyard. 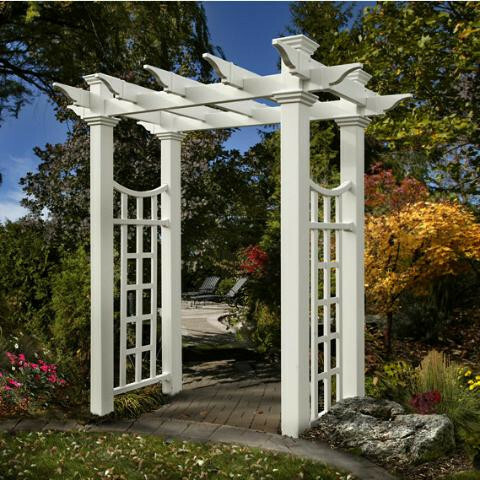 A gentle accent for your yard, the Athens arbor is designed with the most authentic architectural detail. A modern, natural and lassic that looks and feels like wood with all of the consumer friendly, maintenance free benefits of vinyl. 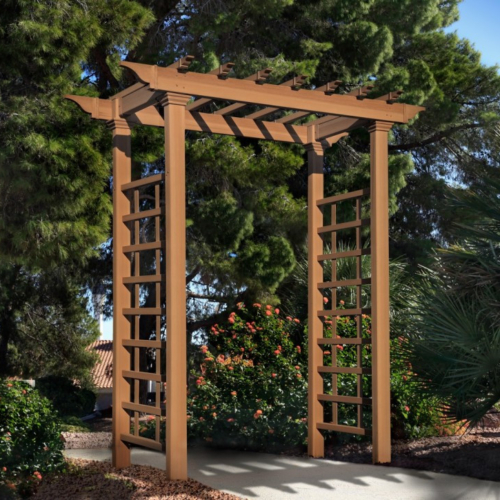 A contemporary look and tasteful sensibility, the Dublin Arbor will make yours a yard of distinction. 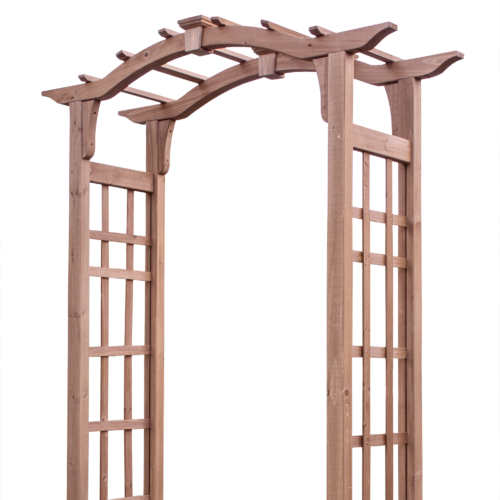 The perfect structure for any yard, this flat top pergola style design is very stylish, while still offering timeless appeal. 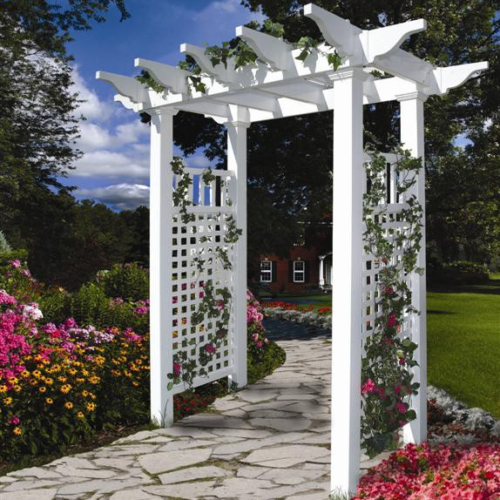 The Fairfield Deluxe offers more architectural detail in lieu of traditional lattice for a fresher, cleaner look. 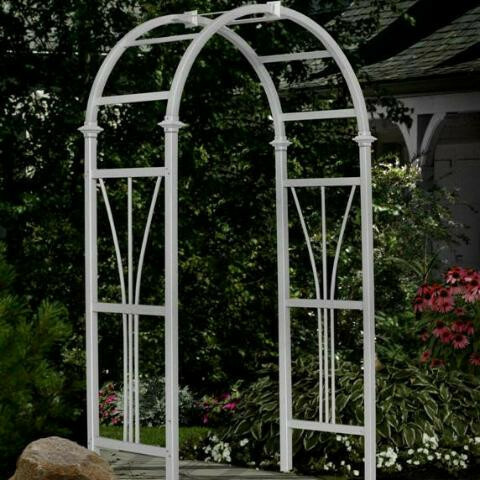 An extra wide arbor that combines modern appeal with classic looks span a walkway or fit your riding lawn mower through. 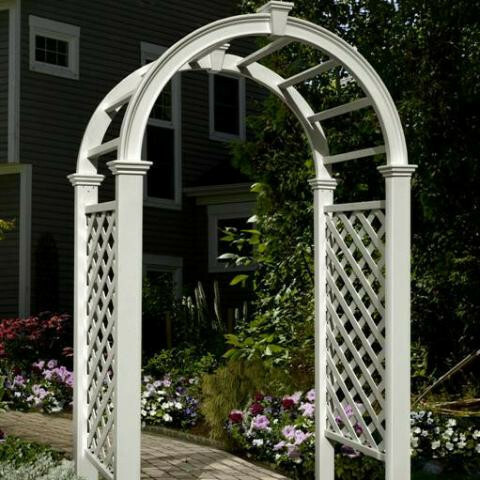 The Florence Arbor offers a beautiful swoop arch design to add a graceful accent to your yard, garden or pathway. 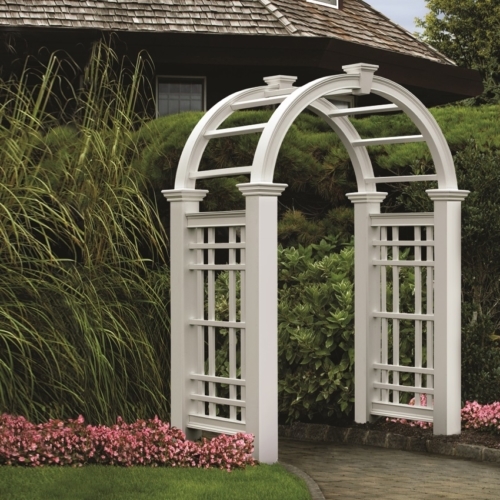 Classic architectural lines and elegant 3D lattice side panels the Livingston Arbor is created with an attention to detail. 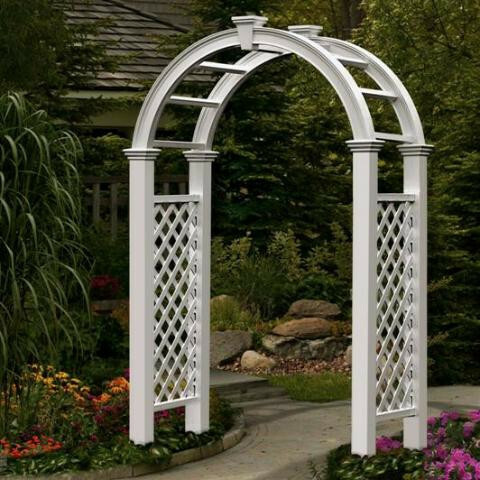 Modern and cosmopolitan, the London Arbor provides the perfect enhancement to the beauty of your yard. 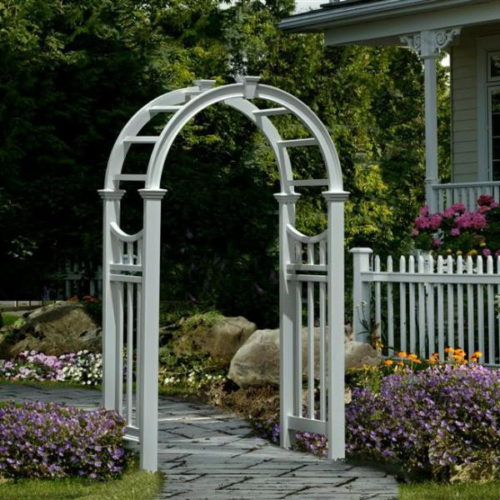 The Nantucket Deluxe has a classic arch top design provides the perfect structure for any yard, garden or pathway. 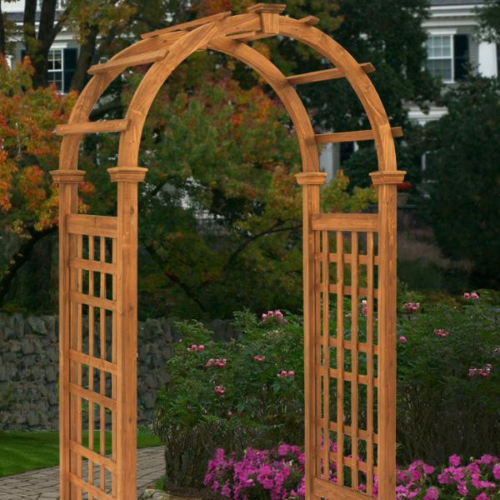 The Nantucket Legacy Arbor brings the past together with the present in a way that’s evocative and radiant. 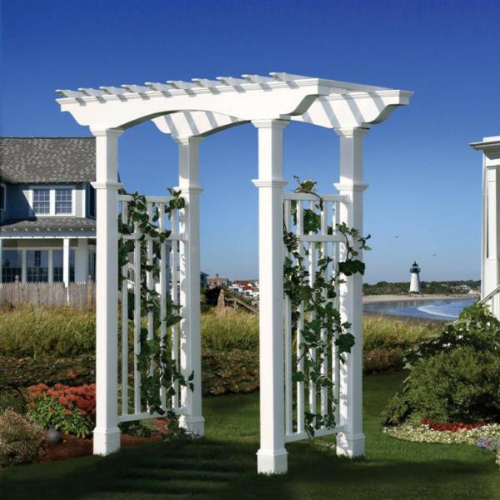 Stately and regal, the Newport Arbor creates an ambiance that is as relaxing as it is charming. 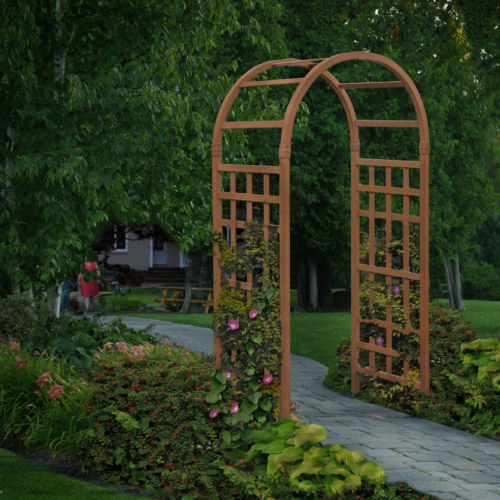 An update on the traditional English Garden arbor, the Rosewood features a classic arch top and elegant side panels. The perfect convergence of wood grain texture and premium vinyl for a rustic and soothing ambience of nature. 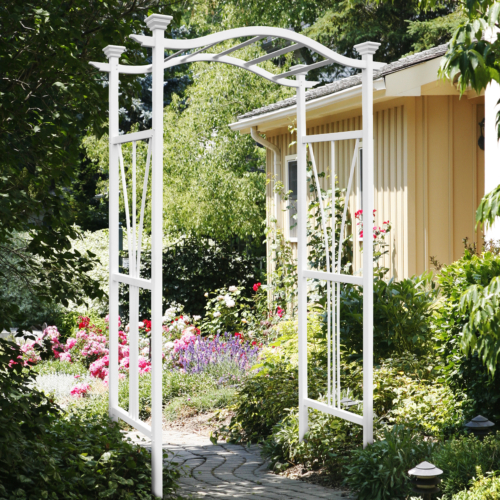 Designed with the most authentic architectural detail, the Vienna arbor offers a simple and elegant look. 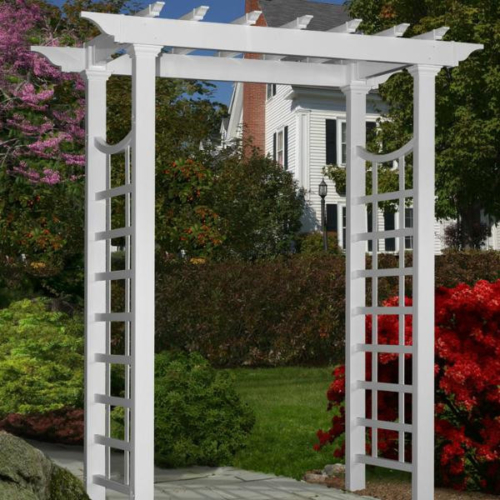 A rectangular pattern and modern frame that's perfect for supporting climbers, or unadorned for a streamlined look. 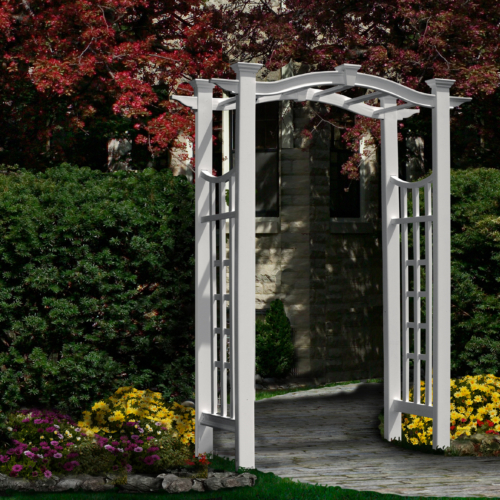 Distinguished and substantial, the Westhaven Arbor will create an impressive entrance from any path or walkway. The Westwood arbor features a graceful swoop top and crisply modern side panels for a timelessly classic look.